When any incredible vacation comes to an end, the long-lasting effects of the experience are often derived by going through all the amazing photos captured. When it comes to travel photography, not all destinations, however, are created equally and Victoria Falls is top of the photographic winner list. The awe-inspiring beauty of this natural world wonder, the rich history of the town and its luxury accommodation to stay in, Victoria Falls has it all. 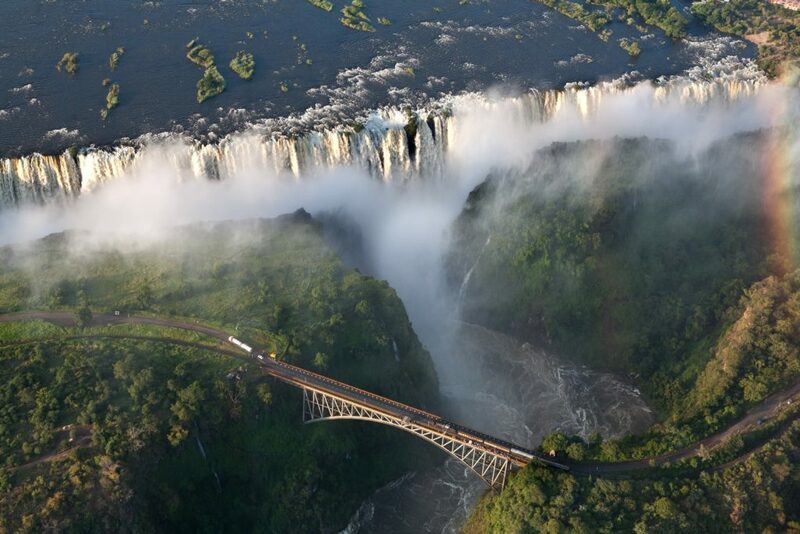 It is therefore no wonder that the Victoria Falls attracts over one million visitors each year! We understand the value of capturing the perfect image and so to ensure you take home those winning snaps of this vibrant town, we have selected our top 7 most photographic spots to add to your African travel bucket-list. Just a short walk from Ilala Lodge Hotel, you will find one of the most photographed spots in Southern Africa! 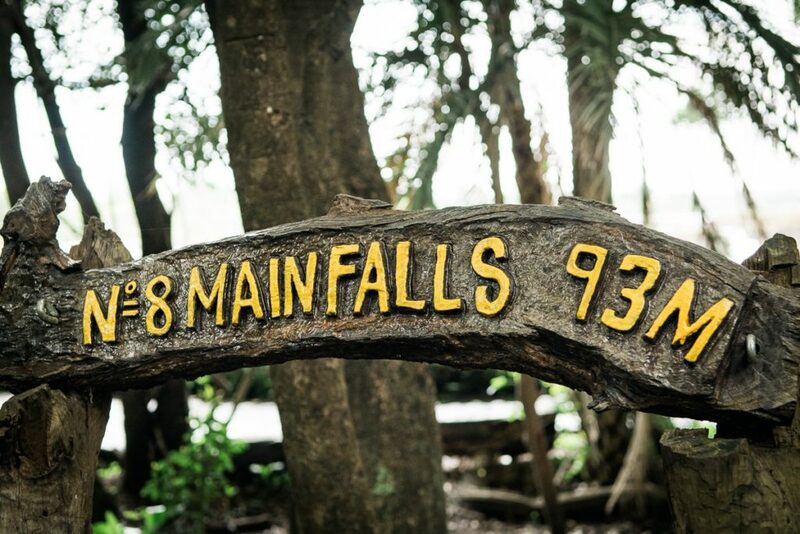 Your senses will be heightened as you enter the Victoria Falls Rainforest and hear the roar of the mighty Falls thunder, feel the increase in humidity and the cool mist falling softly down like rainfall. 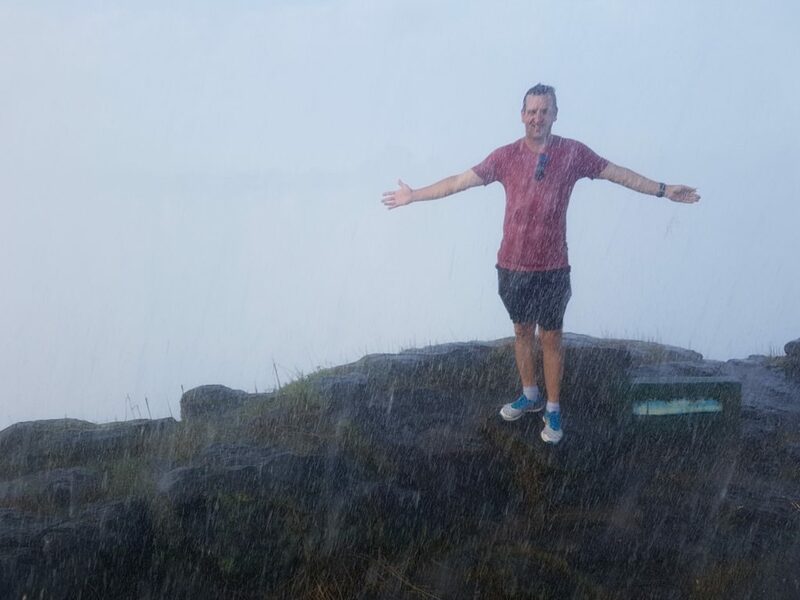 Our favourite viewing point on the Zimbabwe side of the Falls, is Main Falls, which at 93 meters and 150 meters wide, is the biggest of all the Falls has continuous spray throughout the year. While you’re there, don’t forget to read the plaque laid underneath the statue to find out more about its great history. 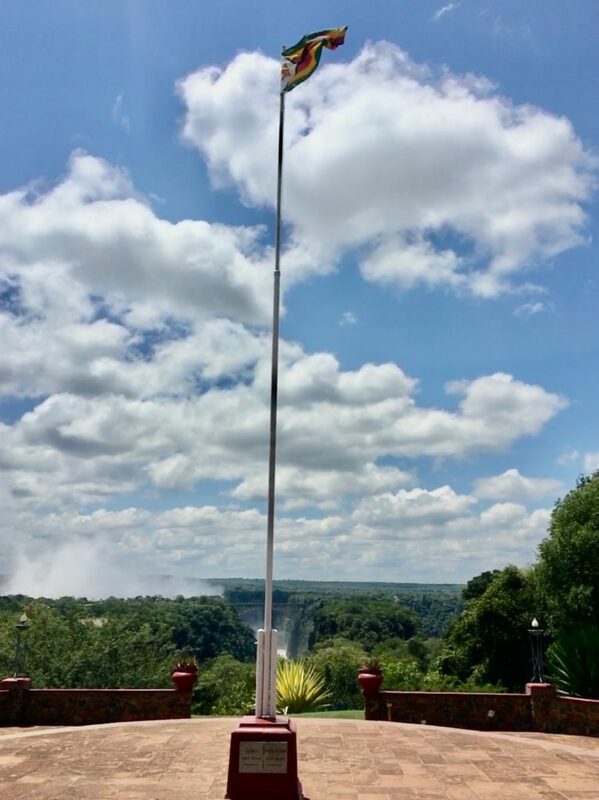 No visit to Victoria Falls is complete without taking a picture of the Cape to Cairo post at the historical Victoria Falls Hotel. 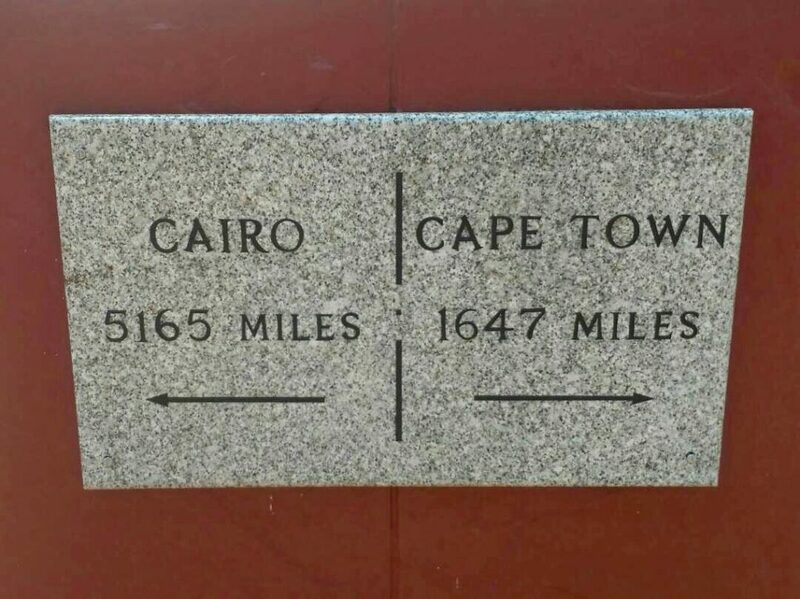 The famous Cape to Cairo plaque is located at the base of the flagpole, which overlooks the Batoka Gorge and the Victoria Falls Bridge, and this shows you the great vision that Cecil Rhodes had where he planned to build a railway line stretching “from Cape to Cairo”. A tip on when to capture the perfect image – visit at either dawn or dusk when you will have the ideal backdrop of the spray from the Falls. This destination may be a little trickier to get to in the high water, but during the low water season the photographic rewards are worth every step, but only if you’re brave enough! There is something quite special about standing on the edge of a natural world wonder to hearing the deafening roar of the falls and to be saturated from its spray. Danger Point is just that! As the 15th viewing point on the Zimbabwean side of Victoria Falls, it is exactly as the name suggests – an open, exposed, rocky area with low shrubs and natural grasses, where you can venture right up to the edge of the gorge. In the high water season the rocks are extremely slippery and can be dangerous and caution and care are required. Don’t forget to carry your valuables and electronics in a waterproof bag and wear a raincoat to avoid leaving completely drenched. 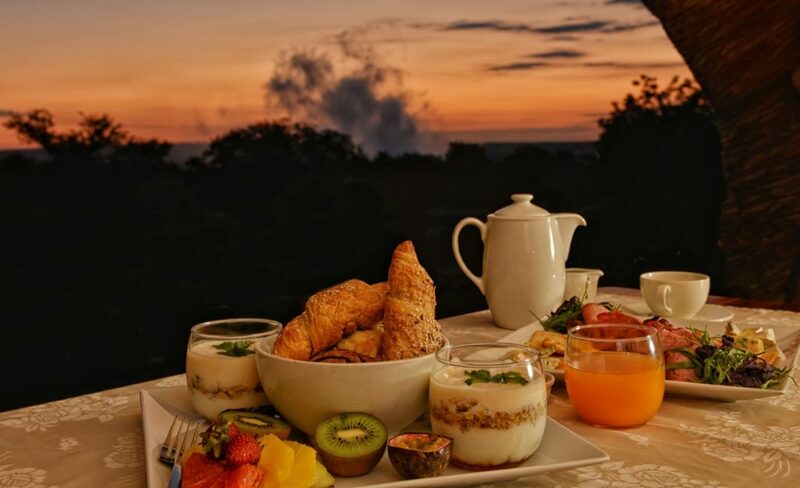 What better way to begin your day in this beautiful town, than with a sunrise from your private balcony overlooking the spray from Victoria Falls. Ilala Lodge Hotel is geographically the closest hotel to Victoria Falls and offers guest the luxurious privacy to gaze on the spray from the Falls in quiet comfort. Be sure to ask for a room with a view when you plan your trip! Whether you choose to view the bridge from the air on the “Flight of Angels” (link to activities page), or whilst standing on the bridge itself, each perspective offers a photographer numerous opportunity to capture the Falls in all its glory. 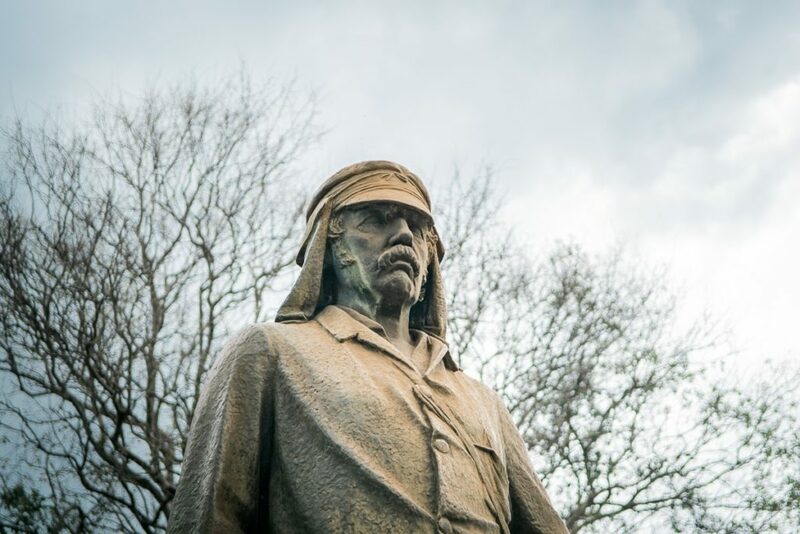 The bridge opened on the 12th of September 1905 and is part of the rail network originally intended to link Zambia and Zimbabwe, in Cecil’s Rhodes dreams of a railway from Cape to Cairo. Rhodes was insistent that the bridge be built where the spray from the falls would fall softly onto the passing trains, which is why today, the site was chosen in very close proximity to the falls. The world-famous bridge now offers a variety of activities such as bungee jumping, bridge swings, and taking a journey back through time aboard a grand old steam train. The Victoria Falls is one of the very few places on earth where you can regularly witness an impressive natural phenomenon with your own eyes and capture its essence with a camera. 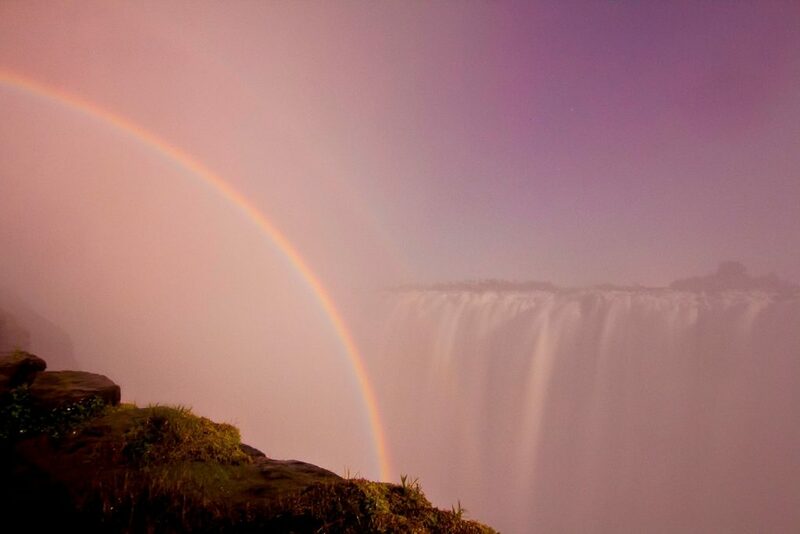 If your trip is planned right, you will have the chance to view the spectacular and memorizing lunar rainbow which is created by light reflected by the water particles from the spray of the incessant Victoria Falls over a full moon. This tour has also been given the name “Moonbow” and is still a relatively well-kept secret so is guaranteed to not be overcrowded. The “Moonbow” is best seen in the high-water season during the months April to July, a few hours after the Full Moon has risen. 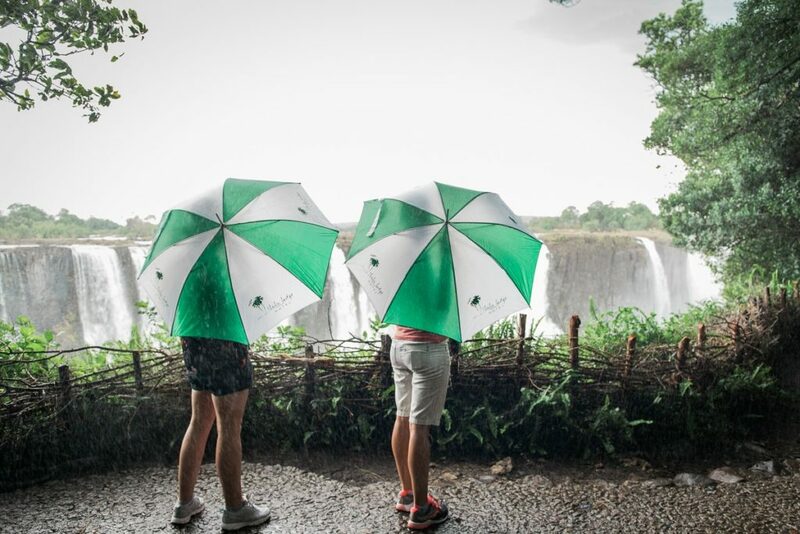 The Victoria Falls Rainforest opens for two nights a month where you can enjoy the magnificent sight, taking home a memory to last a lifetime and a picture to rival all others. 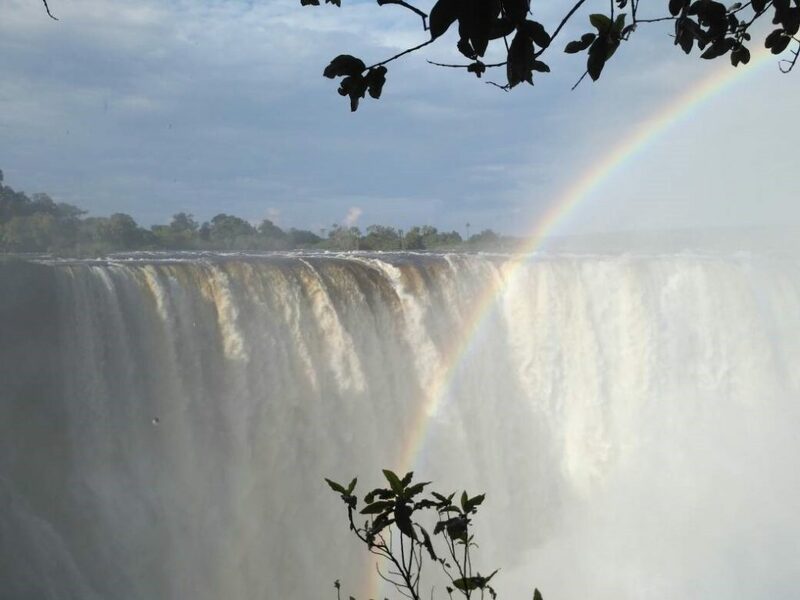 Have you recently visited Victoria Falls? 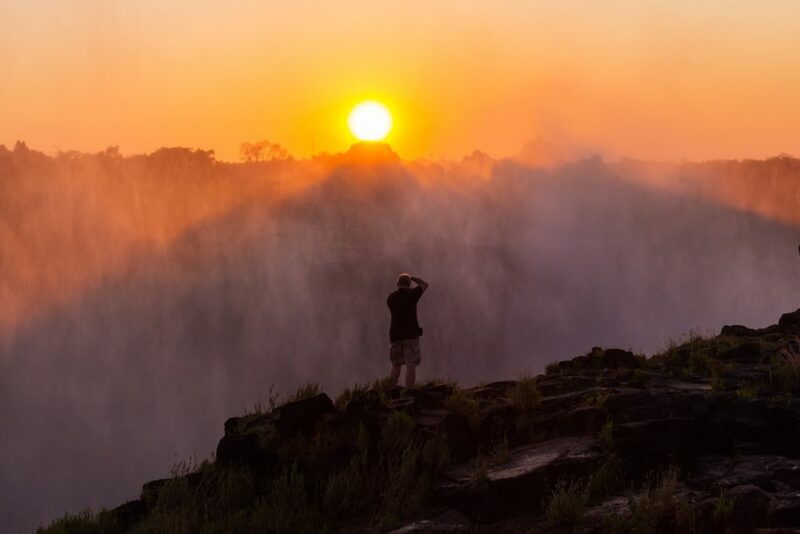 Share your pictures with us and let us know what YOU think is the most photographic spot in Victoria Falls.